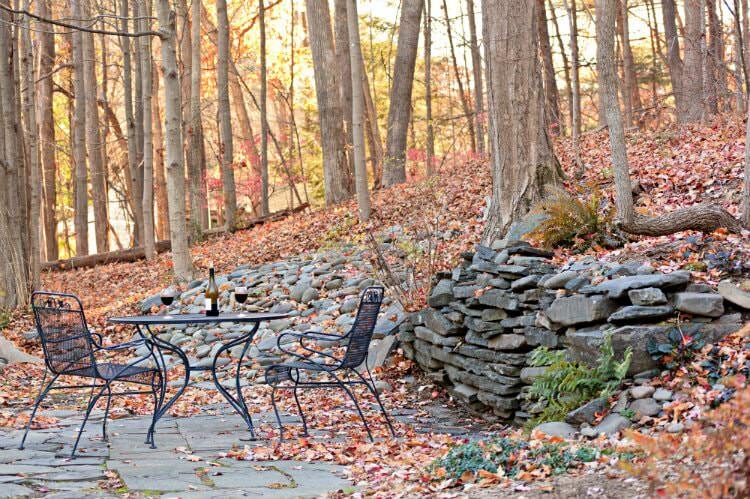 This storybook cottage provides private lodging in Woodstock, New York complete with rooftop deck and intimate outdoor dining area. 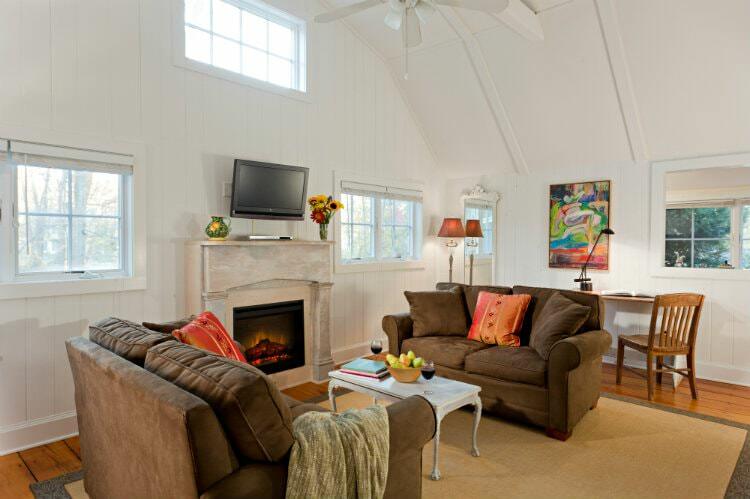 Tucked into a tree-lined lot, the Corner Cottage includes a cathedral-ceilinged living area with lovely electric fireplace, modern kitchen and comfortable eating area. 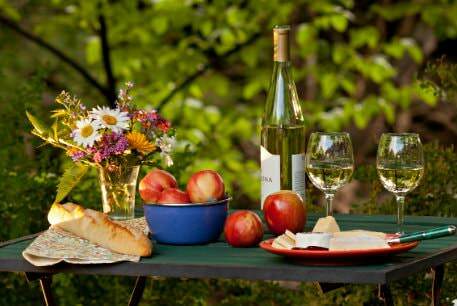 (Please note, because of the convenience of the fully-equipped kitchens at each cottage, breakfast at the Inn is not included with cottage stays.) The master bedroom boasts king-sized bed with luxurious linens, bath with spa tub and separate two-person shower. 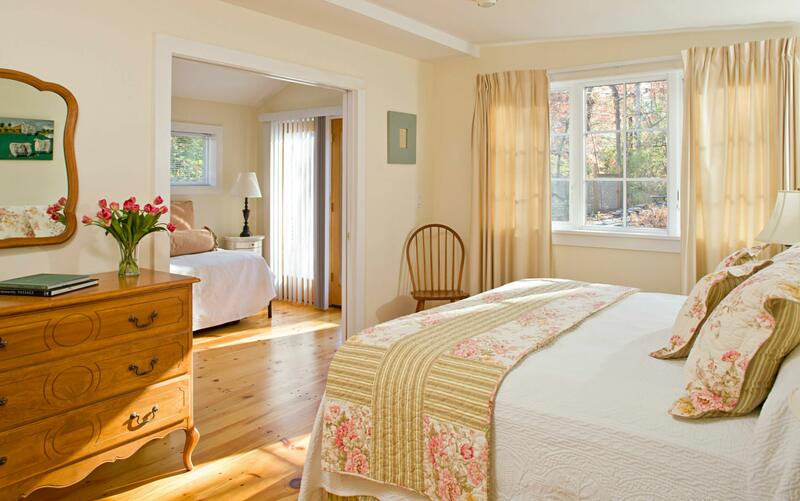 Adjacent to the master bedroom is a small room with trundle bed and a half bath. Ladder-accessed loft space has queen futon on ground (no standing room) Hardwood floors throughout, private yard and garden. 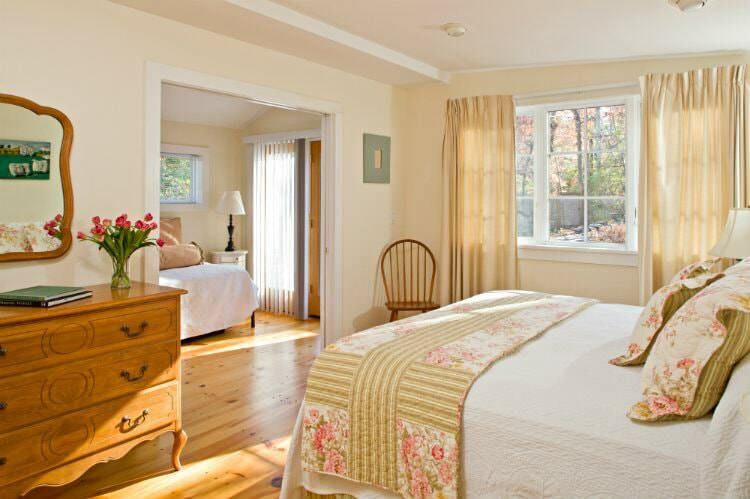 The Corner Cottage is centrally located, a two-minute walk to downtown Woodstock and just around the corner from the inn’s gardens and stream. Our cottages are beautiful, clean and have delightful outdoor porch areas that make it so easy to enjoy Woodstock’s beauty. From the rooftop deck on the Corner Cottage to Brookside’s dual porches that overlook the creek to Hillcrest’s raised side yard deck, these are great places to make memories. 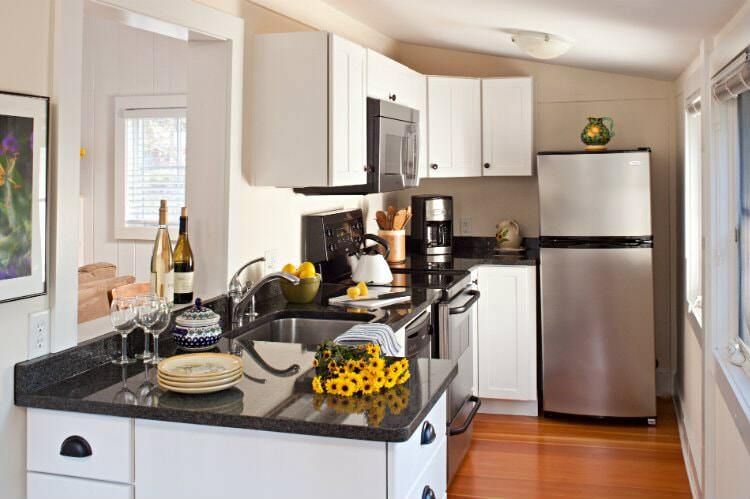 And remember – our cottages all come complete with housekeeping – never an additional fee! And of course, the innkeeper is on site to answer your questions or help with any needs.